A Native American peace pipe is often used in a spiritual ceremony. During the ceremony, Native Americans will smoke from the peace pipe and say a prayer to the four directions. The Native American peace pipe is not restricted to being used only be Native Americans, but it is a spiritual thing and what it symbolizes must be respected by everyone attending the ceremony. Other types of pipes used in ceremonies were the medicine pipe and the war pipe. 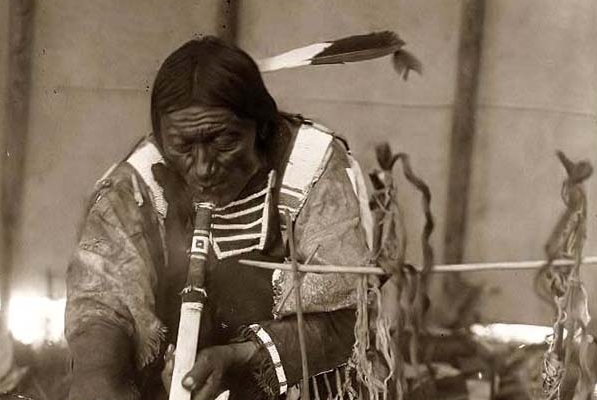 The Indian that carried the peace pipe was often allowed to pass through enemy territory out of respect. The war pipe had red feathers symbolizing blood and was smoked before going into battle. What a Native American peace pipe is made of may vary from tribe to tribe. 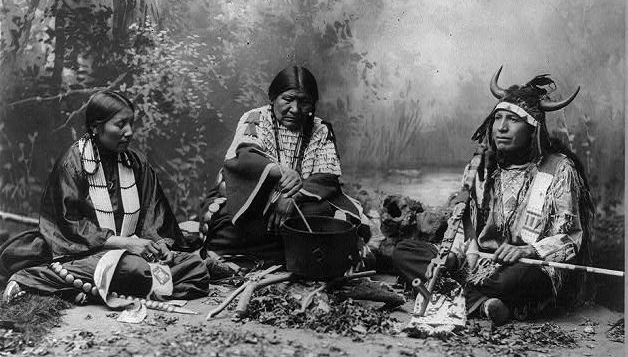 The Cherokee and Chickasaw tribes often used river clay that was formed into a bowl shape then “cooked” by putting it over a hot fire for the bowl of a peace pipe. Bluestone is hard quartzite that is greenish blue. Found in the Appalachian Mountains, it was used for the bowl of a pipe by the Cherokee, Creek, and Chickasaw as well. The Eastern, Western, Great Basin and Plains Tribes often used red pipestone (also known as catlinite) to make their Native American peace pipes. Another form of catlinite called blue pipestone is used in some Native American peace pipes. This type of stone can be found in South Dakota. The Plains tribes also use black pipestone while the Shoshone and Ute sometimes use green pipestone. The Uncompahgre Ute of central Colorado mine salmon alabaster to make their peace pipe bowls. The Plains Indians often carried the Native American peace pipes in a bag called a pipe bundle. This bundle was decorated on the outside and also was used to carry the tobacco that would be used in the pipe. The Native Americans considered tobacco to be a sacred and powerful plant. If help was needed from the spirit world, sometimes tobacco would be offered in return for help. 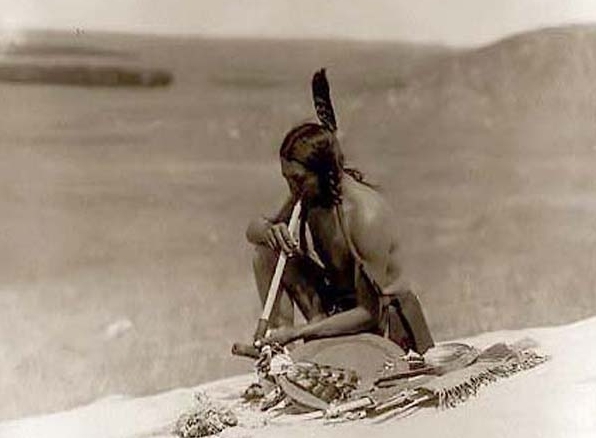 It was believed that the smoke from the Native American peace pipe carried prayers up to the heavens. You can make your own peace pipe. The most desired material to make a peace pipe bowl from is the red pipestone. That is because the red pipestone is very easy to carve with a knife when it is first quarried. It then later turns hard after exposure to the air. There are many solutions as to what to use for the stem, which should be about 20 inches long. You can use a hollow reed or bamboo. You can also use a hollow bone like the leg bone of a deer or the wing bone of a large bird. If you do not have access to either of those, you can cut a stem from a tree (such as a maple, willow, or poplar). After you split it down the middle, dig out the inside and glue the pieces back together. It should join easily so the split is hidden. Responses to "Native American Peace Pipe And The Sacred Meaning to Native Americans"